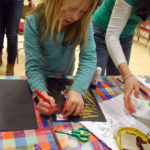 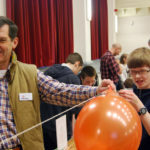 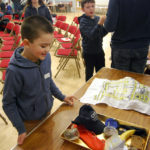 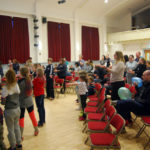 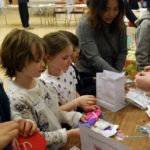 Messy Church was held at Kirriemuir Town Hall this time which provided much more space for our activities. 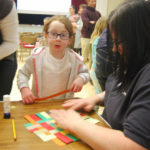 Our theme this time was Messy Love, telling of the lives of Naomi and Ruth and with crafts to try out including; biscuit decorating, weaving, sewing hand prints and singing. 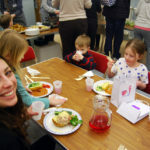 There was a short message from Karen-Ruth and we finished off the party with a buffet meal. 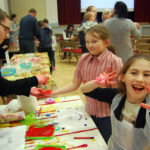 Look out for our next Messy Church where we hope to see you all.